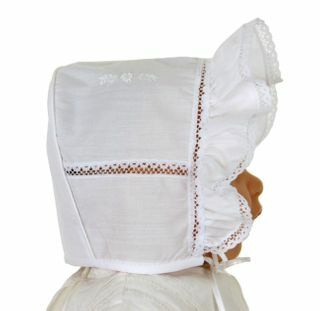 This sweet white cotton blend bonnet is made by Will'beth, a leading designer of beautifully detailed baby clothing. It features white embroidered floral sprays and white lace insertion on the top and sides of the bonnet. The face ruffle is finished with white lace. 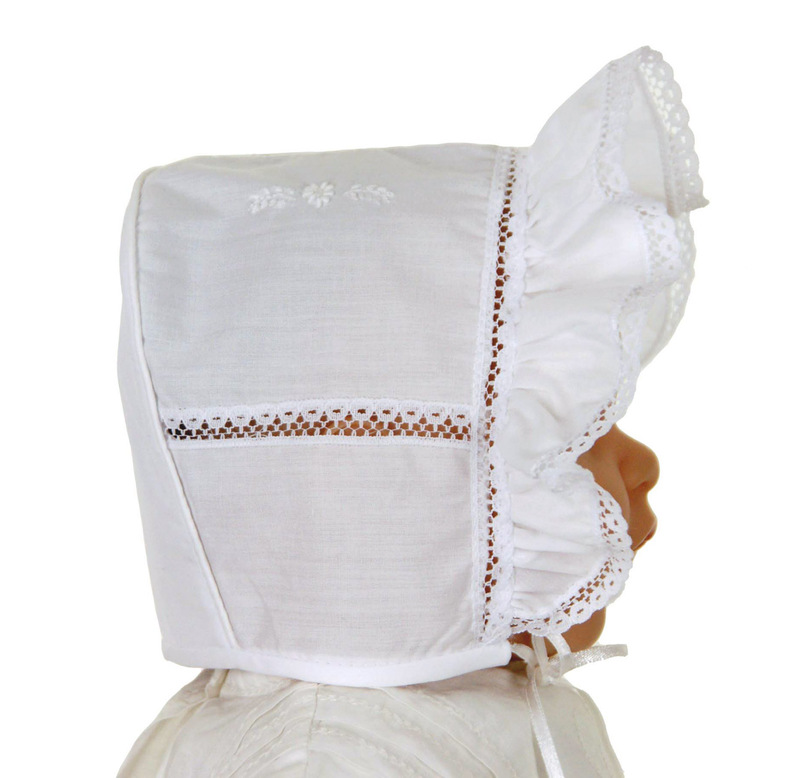 The bonnet ties under the chin with tiny ribbon ties and has a closed crown.